Tim Dowling has relinquished his position at Deutsche Bank AG, stepping down as the Head of Structured Finance and Market Risk – he will be succeeded by Daniel Britz, who will now be based out of London. 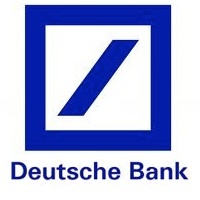 Deutsche Bank has experienced a number of executive moves this summer already, including several senior level posts throughout its global offices. The past few weeks alone have seen the appointment of Nitesh Mistry as the group’s Investment Officer and James Dilworth as Head of Asset Management – additionally, Managing Director Jane Bushey parted ways with Deutsche Bank for rival Morgan Stanley. Mr. Dowling has held a variety of positions at Deutsche Bank over a lengthy tenure that started in 1997. Over the years he has specialized in supervising market risk in the Americas, while also helping manage Deutsche Bank’s risk control unit.